Running time - how to predict? How to use race predictor? Want to be prepared for the race? Follow the training plan! 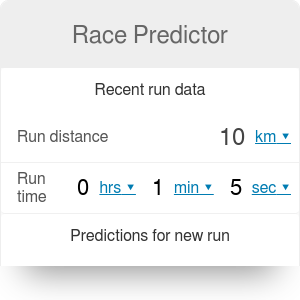 Race predictor is a helpful tool for all the runners and athletes who want to develop their race results. Based on your previous running scores, our running time calculator will foresee the time for another run competition. Without complicated analysis check quickly whether you are able to cover another distance at a satisfying time and running pace. In the article below, you will find a short tutorial on how to use the calculator, a description of some aspects of training and few tips for race day preparation. Calculations in our running time predictor are based on the mathematical formula published in 1977 in Runner's World Magazine. The equation was devised by Peter Riegel, American research engineer and marathoner. 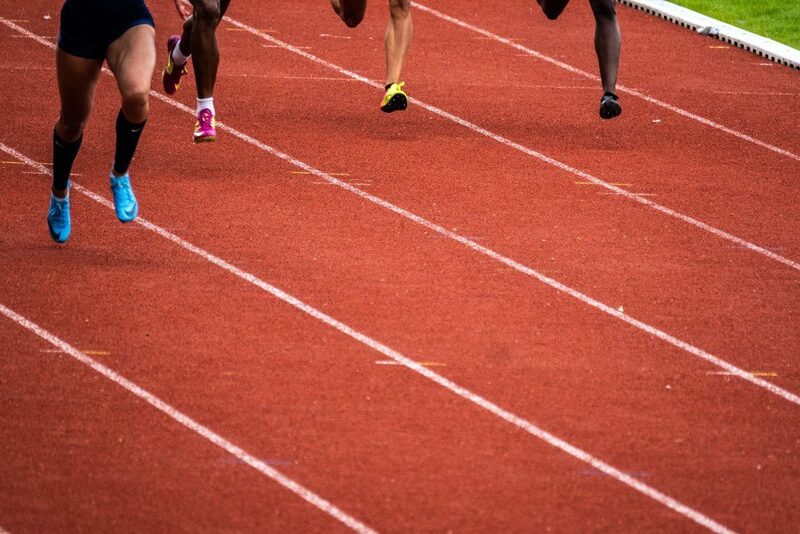 The expression allows predicting race times for runners and other athletes giving a certain performance at another distance. During the years, the formula has been widely approved by sports community, thanks to its high calculation accuracy and simplicity in its application. D₂ is the distance for which T₂ time is foreseen. It assumes that a runner has done appropriate training for the distance they wants to run. A very good result on the 10km distance a day ago doesn't mean that today you can run a half-marathon with 1h 30min time. Assumes that an athlete doesn't have a significant natural tendency for either speed or endurance. Some people, no matter how much they train, will always have better results than others. The calculations are less accurate for the time under 3.5 minutes, and for the time over 4 hours. The great benefit of this formula is that it's adjusted for distance - it doesn't simply double e.g., the 6 km prediction for 12 km prediction. Fill in the distance of recent race result: say, it was a half marathon, D₁ = 22km. Type the time which you have achieved on that distance: It was T₁ = 1h 57min 26s - not bad! Choose the new distance you want to run: I like long runs! D₂ = 30km. Prediction for new distance is equal to T₂ = 2h 43min 8s - quite a lot of sweating! Keep in in mind that either 5km, 15km, half marathon races, or mountain runs have significantly different characteristics. For each of them, during training, you will need to focus on different aspects, e.g., endurance, speed, strength or dynamics. It means that for each race type you will need to follow a specific training plan to be able to keep a good running pace. Nutrition - refuel your body properly. Do not allow yourself to take a race with a lack of calories. You should think about a proper diet, hydration and supplementation (vitamins, micro & macro elements). 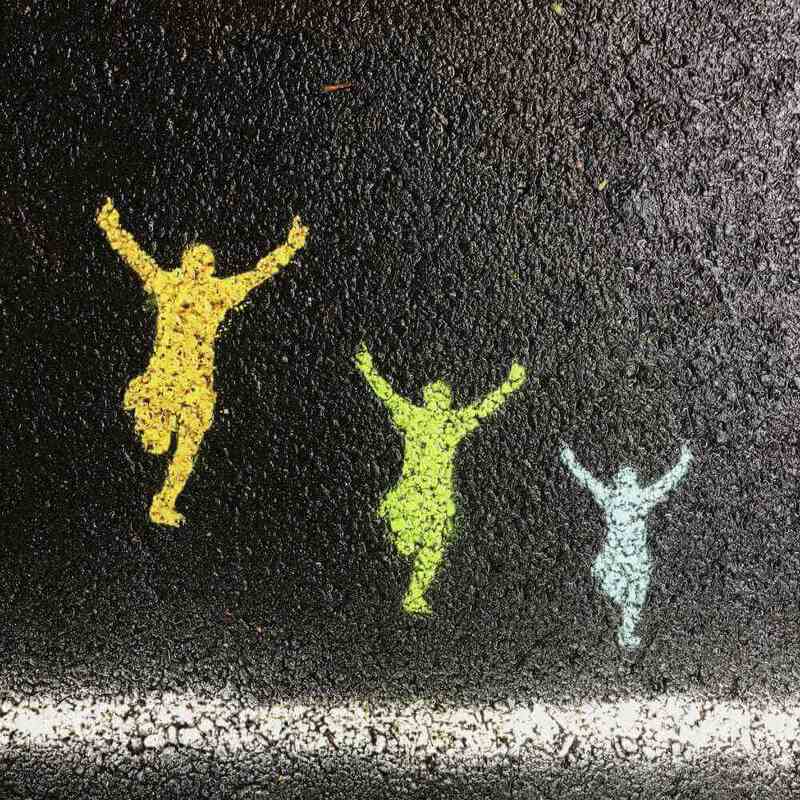 Recovery - competition when your organism is tired after hard training can't be good for you. Take care of biological regeneration. Mental power - have freedom in your thoughts. Being seriously stressed doesn't bode well. Some meditation may help your mind to be clear. Warm-up - might seems obvious, but don't forget about gradual warming your muscles and stimulate the cardiovascular system before start. Race Predictor can be embedded on your website to enrich the content you wrote and make it easier for your visitors to understand your message.